Over 200 years ago, Switchel was created by thirsty farmers. Today, it’s loved for its natural, beneficial ingredients. Switchel made its way from the islands to the American colonies becoming a popular summertime drink by the late 1600’s. 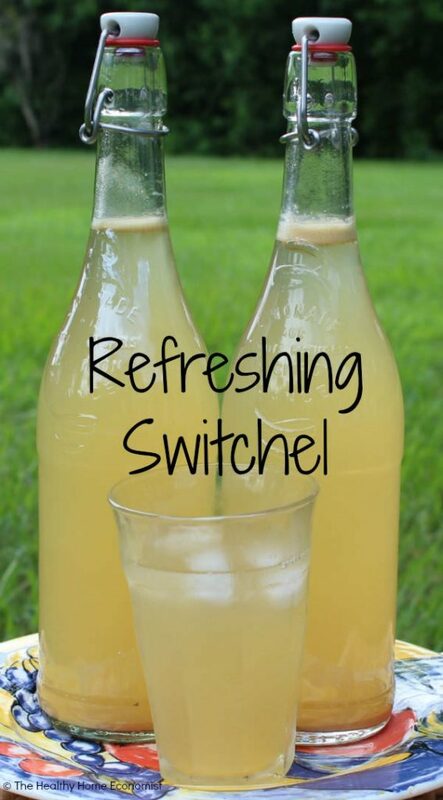 Gradually over the next 200 years, “switchy” became the traditional drink of choice to serve to thirsty farmers harvesting hay, hence other popular names like Haymakers Punch. Vermont has a variation called Haymakers Oat Water that uses oats and molasses. While I’ve never been fond of that particular adaptation Switchel uses (raw) vinegar instead of juice and requires no starter making it super simple for first time home brewers. You won’t believe how thirst quenching and healthy switchel is! No wonder it was the preferred beverage for centuries of those working hard in the summertime heat on a farm. Be sure that the apple cider vinegar you use to make switchel is raw and packaged in glass bottles. ACV is like kombucha – it is acidic and has the potential to leech toxins from a plastic container. Apple Cider Vinegar: fermented food with healthy protein enzymes; digestive aide; shown to increase satiety; helps increase muscle endurance and recovery. Ginger: anti-inflammatory properties; broad spectrum anti-bacterial, anti-fungal and anti-viral; blood sugar regulator; powerful antioxidant capacity; gastrointestinal soother. Raw Honey: full of antioxidants; known anti-bacterial benefits; high in minerals and beneficial phytonutrients; provides key enzymes for immunity and digestion. Blackstrap Molasses: Provides iron for energy. Eases joint pain caused by arthritis. Provides calcium for healthy bones and teeth and treats constipation.